A lot has changed since the show’s beginning in the summer of 2016 proving there is no business like show business. 2018’s show was set to razzle dazzle the crowds with an expanded script, additional characters, and the most visible improvement, more complex lighting and scenery. Opening night on June 27th went out with a bang as over 300 locals packed the Cody Theatre. For the cast of 35, countless rehearsals and practices were held in order to prepare for the 5 week season. Adding singing to the show, RMDT was thrilled to have Alice & Larry Munari on board as acting & voice directors. Executive Director, Elizabeth Fernandez worked throughout the season with help from her Assistant Director, Brittany Schneider, to improve each show and keep performers on their toes. This year Cynthia Kaelberer accompanied each show providing another new element, live music. In 21 performances over 1500 people attended the show, proving big dreams aren’t just for Buffalo Bill. RMDT’s Wild West Spectacular continues to look ahead and is excited to bring the Legend of Buffalo Bill and his Wild West show to life in this LIVE original musical each summer. *RMDT is a non-for profit 501(c)3 and Wild West Spectacular is only possible through funding by grants and charities. We are thankful for this years supporters: The Blue Ridge Fund, Wyoming Arts Council, Wyoming Cultural Trust Fund, and the Cody Trolley Tours. We are also very thankful for all the area businesses who allow us to promote our show through posters & rack cards. If you are interested in supporting the Wild West Spectacular please contact RMDT at 307-527-9973. 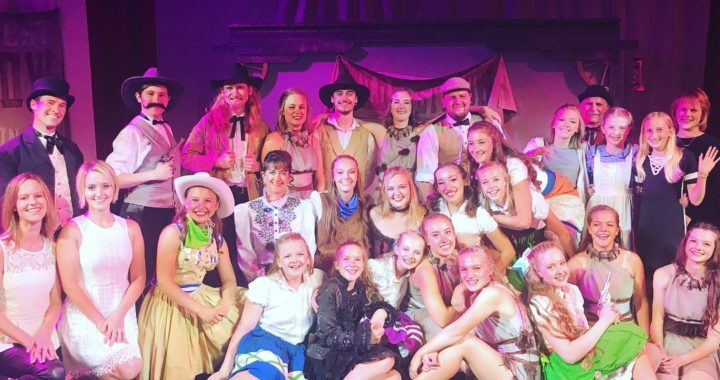 Posted in Current News, Performances, RMDT and tagged Buffalo Bill Cody, Cody, Cody Wild West Show, Musical Theater, Performing Arts, Rocky Mountain Dance Theatre, Wild West Spectacular, Wyoming.